Van Egmond Coco Peat Potting Substrate is a high-quality potting substrate based on fine coconut chips. This gives the potting substrate an excellent water absorption capacity, ensuring proper moisture distribution in the pot. Even after a longer period without watering, the coco peat potting substrate is still able to absorb water very fast. In combination with the loose, airy structure, this gives optimal air and water ratios in the pot. The substrate can be used as a universal base for all types of plants. Coco Peat potting substrate is easy to work with and keeps your hands clean. 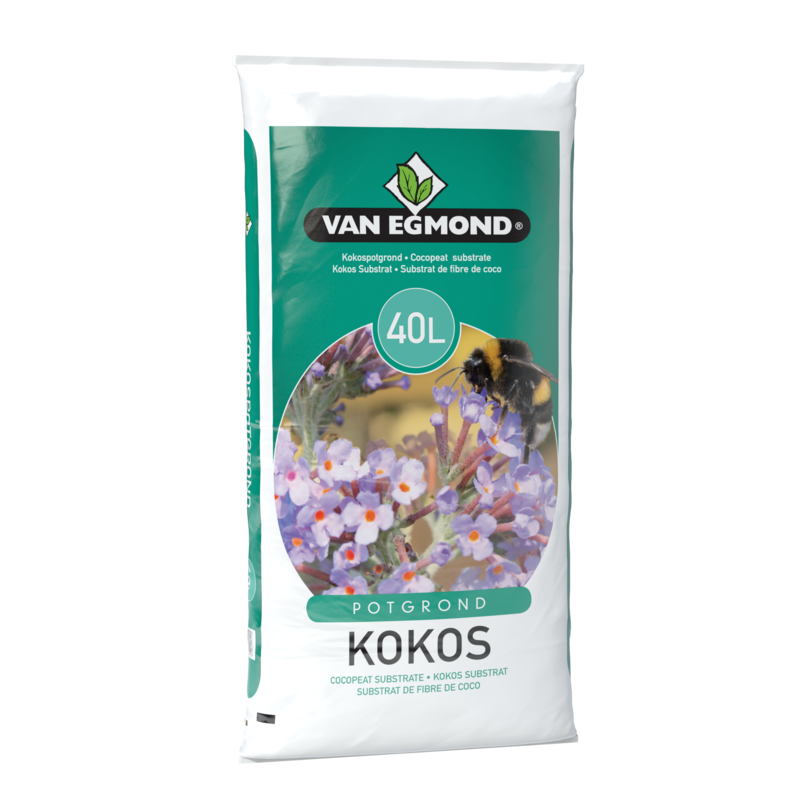 Van Egmond Coco Peat Potting Substrate is available in bags of 40 litres. Order coco peat potting substrate directly through our order form!